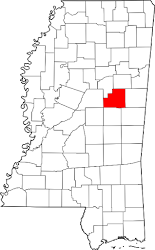 Winston County – November 22,2015 – Winston County has recently updated its account with Emergency Communications Network, providers of the CodeRED high-speed notification solution, to provide the CodeRED Weather Warning service for the community. CodeRED Weather Warning is an opt-in only weather warning product that taps into the National Weather Service’s Storm Based Warnings. CodeRED Weather Warning automatically alerts affected citizens in the path of severe weather just moments after a warning has been issued. Calls are delivered so quickly they often arrive prior to any other public notifications, usually before television or weather radio broadcasts are aired, which will provide Winston County extra time to prepare. Based on the National Weather Service’s polygon methodology, only citizens in the path of projected weather are contacted.